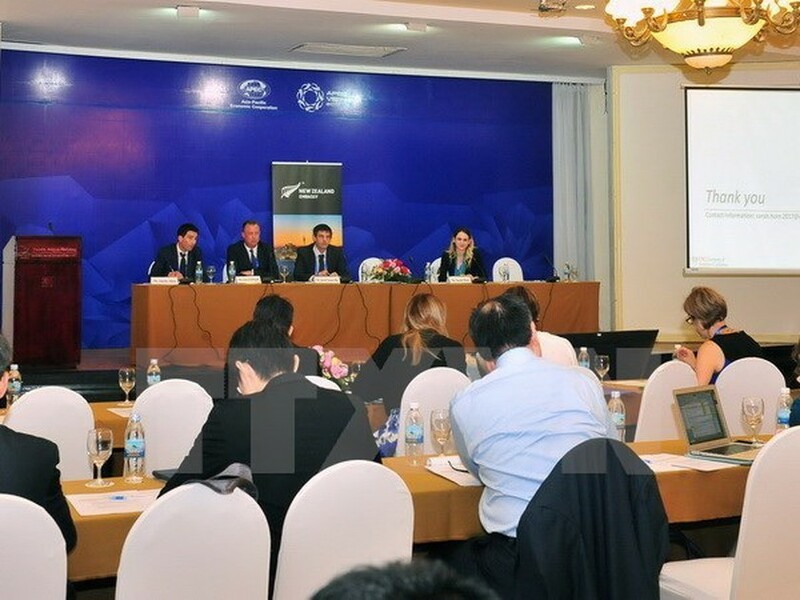 A series of meetings took place in Nha Trang city in the central province of Khanh Hoa on February 25 within the framework of the first APEC Senior Officials’ Meeting (SOM 1). They included the meetings of the Tourism Working Group (TWG), Electronic Commerce Steering Group (ECSG), Committee on Trade and Investment (CTI), Competition Policy and Law Group (CPLG), Oceans and Fisheries Working Group (OFWG) and Market Access Group (MAG). A workshop on the use of international tools to strengthen the enforcement of contracts in finance supply chain for global businesses was also held by the Economic Committee (EC). Meanwhile, the three-day APEC Policy Partnership on Food Security (PPFS) Meeting, chaired by the Ministry of Agriculture and Rural Development, kicked off on the same day. Scheduled to run from February 18 to March 3, the APEC SOM1 and related meetings comprises 56 meetings, workshops and dialogues of 38 APEC committees and working groups.